Mplan media located in Mumbai provides unique ways to advertise to those who fly by air. 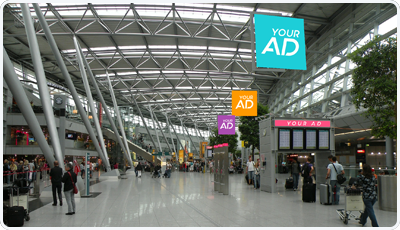 Through our expertise in the field of Airport advertising we can help you choose a plan to display your brand in airports and achieve maximum recall. We provide maximum media options like Trolly advertising, Baggage Advertising, banner and hoarding advertising in the top airports. Or call us at 9916897609 to talk to our sales representative.